I’m Vicki, thanks for dropping by to my website. I’m a Lincolnshire photographer based in Horncastle, although I happily travel further afield for my clients. You can see from my galleries that I cover Commercial photography and events, Weddings, and all types of Portraiture. I love the creativity of photography and I care that you have a wonderful experience that results in fabulous images. Whether it’s corporate head shots or business website imagery, photographing people, documenting the joy of a wedding with natural, candid images, a carefully planned, bespoke portrait shoot, capturing the beauty of your newborn baby or your children’s smiles while they play in the park. Your wedding is one of the most special and memorable days of your life, and I want to give you images that capture the day and the magic of the celebration. I’d love to hear about your plans for YOUR day! I love photographing people, whether babies in newborn shoots and family portraiture. Pictures that make women look and feel amazing, or a cheeky boudoir shoot. And not forgetting special occasions such as christenings and proms. You can find bespoke business and commercial work here. Including corporate headshots, product photography, location advertising work and industrial photography. Tell me how I can work with you to help boost your business. 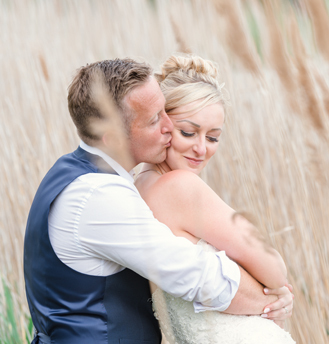 Why Choose Vicki Head Photography? There are many photographers in the world so why choose me? Maybe because of how important YOU are to me and how this makes me strive to provide you with fabulous images that are perfect for your needs. But more than that, it matters to me that you love the experience of getting those images. I am interested in you, in what you like, in what make you laugh, in what makes your eyes shine! My shoots are relaxed and fun, my wedding photography is unobtrusive, so that I can give you natural looking pictures that fill you with happiness and that you can treasure forever. I am honoured to be commissioned for the most special moments in people’s lives, their weddings or first photographs of their precious new babies. Creating photographs that make women feel as amazing as they look, that captures the tender glances between a bride and groom during their wedding day, or the playful joy of a family shoot, and then seeing the reactions and happy tears of my clients when they first glimpse their images absolutely makes my day. The same premise applies to my Commercial work – my clients matter. I work closely with companies in order to visually present the essence of their business for advertising campaigns, corporate head shots and location and product photography. In order to provide highly effective and congruent imagery I take time to listen to my commercial clients’ needs, and fully understand the message that needs to be put across in their imagery. Then professional, bespoke images, that are unique to your business can be produced. Then for the people who have a great camera but can’t get out of auto settings, or want to improve their photography and understand how to take better pictures, I offer one to one training, and classes for small groups, tailored to their requirements and helping them to get to grips with the basics of photography and composition. 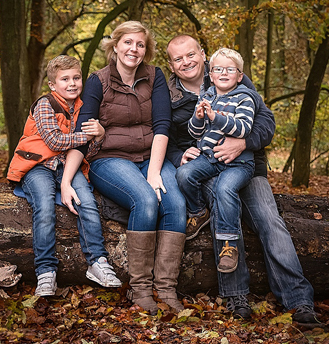 Whether you are a Mum who just wants to be able to photograph your children, or someone who has taken up photography as a new hobby and would like to learn more, having some training is enjoyable and will show the difference in your pictures. I’d love to hear about how I can help you. If you are planning a wedding, need to promote your business, or just realise the importance of having beautiful photographs to hand down to future generations, please get in touch and we can chat about your plans. Or just have a browse through some of the images that can be purchased in the for sale galleries. If you want to find out more about me you can do so here, or read some of the reviews my clients have given me. Fabulous work. Beauty is all around us and you capture it beautifully. I love your pictures. A truly amazing and talented photographer. Makes you feel instantly at ease. The quality of the photos we have received is simply outstanding, and we are so pleased with the images. Vicki made my little angel look even more beautiful and elegant which I didn't think was possible! It's not often you get to pause and feel beautiful in these hectic times, but you really do when you work with Vicki. Cannot recommend the wonderful Vicki enough!! Love, love, love the pictures and can't wait to find lots of excuses to use her again! The only photographer I'd ever use, both for business and personal. Whether a boudoir or baby shoot she is simply the best! In a nutshell - we think you're ace Vicki! Copyright © Vicki Head Photography 2018. All Rights Reserved. All images are copyright and belong to Vicki Head.